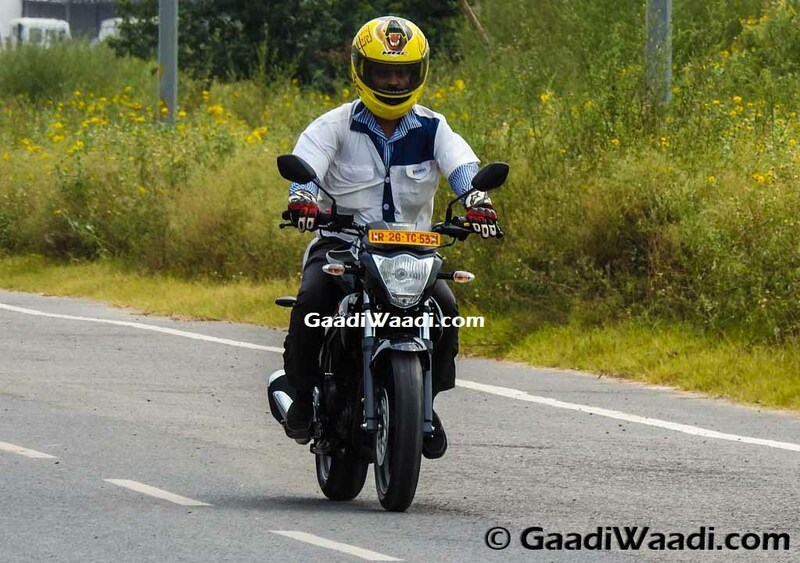 Wondering why was Suzuki late to have its upgraded Gixxer twin’s (Naked & SF) with a rear disk brake in its stable. Ho, Late is better than never. 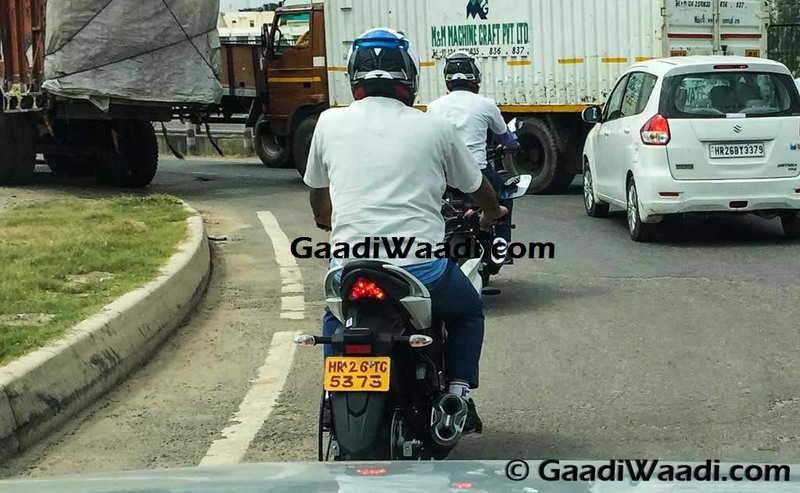 Yes, our associates at Gaadiwaadi.com has spotted naked Gixxer and Gixxer SF rear disc variant on-test in NCR, the bike is expected to launch in mid October. 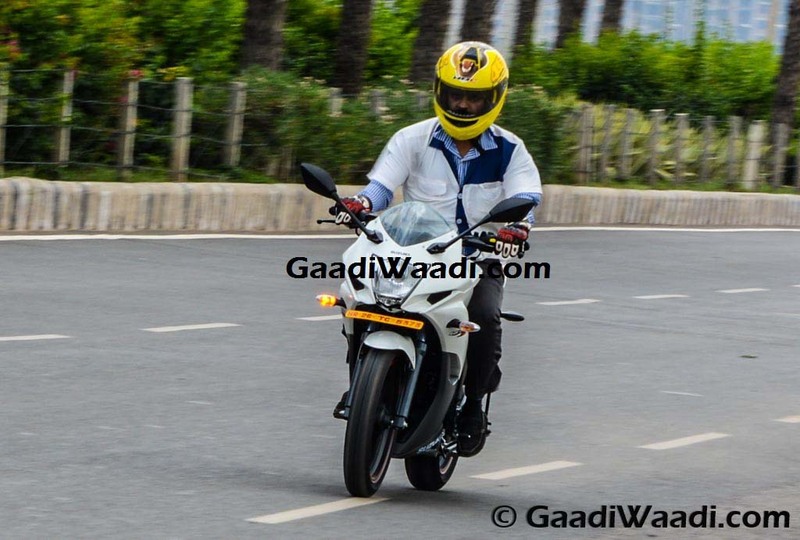 Now, to all the people who had criticized Suzuki Gixxer twin’s without a rear disc brake, can now go drool over. 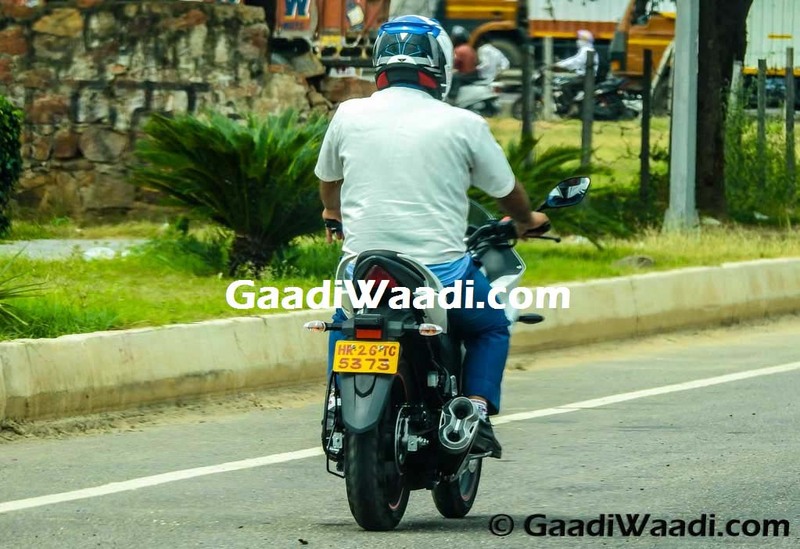 The Suzuki Gixxer SF is a fully-faired commuter motorcycle, based on the naked Gixxer bike, which went on sale this April with a positive response on its performance, however went through a lot of criticism for the non-availability of rear disc brake, even as an optional choice. The Gixxer SF carries the blueprint of its naked counterpart, making a difference in the looks is it’s aerodynamically shaped edgy body panels making way for its full-sized fairing, resembling to the GSX-R superbike. The bike is also equipped with 7 step adjustable mono shock suspension and is powered with the same 155cc ultra light weight power unit found on the naked version. Both the power plants generate almost the same power output of 14.8PS and 14NM torque mated to a 5 speed manual transmission. The Single down tube frame coupled with the dynamically fitted front faring scales the bike to touring capabilities. To complement the looks of the new Gixxer SF, the Japanese brand has also introduced dual tone colors to its lineup. Along with this, the bike maker has also launched Gixxer special edition helmet which will be available exclusively at the company dealerships priced at Rs. 2199/-. The helmet is also inspired from the MotoGP and looks pretty neat. 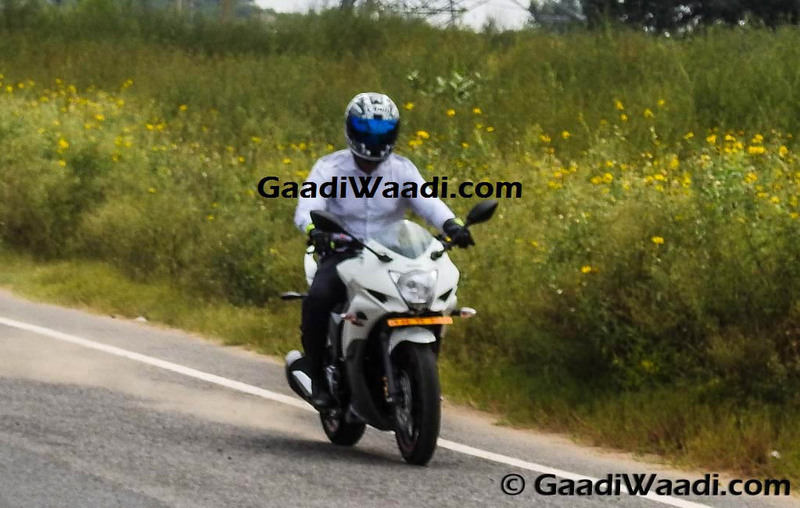 The Dual disc variant of Suzuki Gixxer and Gixxer SF is expected to be available on dealerships by mid October and is likely to be priced 5-6K over the single disc variant, yet optional.